The Dallas Texas Temple is a temple of the Church of Jesus Christ of Latter-day Saints located in Dallas, Texas in the United States. The Denver Colorado Temple is a temple of the Church of Jesus Christ of Latter-day Saints located in Littleton, Colorado in the United States. The Detroit Michigan Temple is a temple of the Church of Jesus Christ of Latter-day Saints located in Bloomfield Hills, Michigan in the United States. The Edmonton Alberta Temple is a temple of the Church of Jesus Christ of Latter-day Saints located in Edmonton, Alberta, Canada. The Frankfurt Germany Temple is a temple of the Church of Jesus Christ of Latter-day Saints located in Friedrichsdorf, Germany. The Freiberg Germany Temple is a temple of the Church of Jesus Christ of Latter-day Saints located in Freiberg, Germany. The Fresno California Temple is a temple of the Church of Jesus Christ of Latter-day Saints located in Fresno, California in the United States. The Guadalajara México Temple is a temple of the Church of Jesus Christ of Latter-day Saints located in Zapopan, Jalisco, Mexico. The Guatemala City Guatemala Temple is a temple of the Church of Jesus Christ of Latter-day Saints located in Guatemala City, Guatemala. The Guayaquil Ecuador Temple is a temple of the Church of Jesus Christ of Latter-day Saints located in Urdesa Norte, Guayaquil, Ecuador. The Halifax Nova Scotia Temple is a temple of the Church of Jesus Christ of Latter-day Saints located in Dartmouth, Nova Scotia, Canada. The Hamilton New Zealand Temple is a temple of the Church of Jesus Christ of Latter-day Saints located in Temple View, New Zealand . Temple View is a small suburb about five miles southwest of the main city of Hamilton. Hamilton is located about 80 miles south of the Auckland New Zealand International Airport. The Helsinki Finland Temple is a temple of the Church of Jesus Christ of Latter-day Saints located in Helsinki, Finland. The Hermosillo Sonora México Temple is a temple of the Church of Jesus Christ of Latter-day Saints located in Hermosillo, Sonora, Mexico. The Hong Kong China Temple is a temple of the Church of Jesus Christ of Latter-day Saints located in Kowloon City, Hong Kong, China. The Houston Texas Temple is a temple of the Church of Jesus Christ of Latter-day Saints located in Klein, Texas in the United States. Klein, Texas is a suburb about 25 miles northwest of downtown Houston. The Idaho Falls Idaho Temple is a temple of the Church of Jesus Christ of Latter-day Saints located in Idaho Falls, Idaho in the United States. The temple is located just off of Interstate 15 in the heart of the downtown area. It is visible from the Interstate. The Johannesburg South Africa Temple is a temple of the Church of Jesus Christ of Latter-day Saints located in Park Town, South Africa. The temple is located in Park Town, a suburb about three miles north of Johannesburg. The Jordan River Utah Temple is a temple of the Church of Jesus Christ of Latter-day Saints located in South Jordan, Utah in the United States. The temple is located in South Jordan, a suburb 16 miles south of downtown Salt Lake City. The Kona Hawaii Temple is a temple of the Church of Jesus Christ of Latter-day Saints located in Kailua-Kona, Hawaii in the United States. The temple is located in center of Kailua-Kona Town on the Island of Hawaii. It is eight miles south of the Kona International Airport. The Laie Hawaii Temple is a temple of the Church of Jesus Christ of Latter-day Saints located in Laie, Hawaii in the United States. The temple is located on the northeast shore of the island of Oahu, near Brigham Young University-Hawaii and the Polynesian Cultural Center. The Lima Peru Temple is a temple of the Church of Jesus Christ of Latter-day Saints located in La Molina, Lima, Peru. The temple is located in La Molina, a district about 20 miles east of the Lima Peru Airport. The Logan Utah Temple is a temple of the Church of Jesus Christ of Latter-day Saints located in Logan, Utah in the United States. The temple is located in Logan, Utah, which is about 85 miles north of Salt Lake City. The London England Temple is a temple of the Church of Jesus Christ of Latter-day Saints located in Newchapel, Surrey, United Kingdom. The temple is located in Newchapel, Surrey, a rural area 25 miles south of central London and 40 miles southeast of the London Heathrow Airport. It is also just eight miles east of the London Gatwick Airport. The train station to take is Lingfield. The Los Angeles California Temple is a temple of the Church of Jesus Christ of Latter-day Saints located in Los Angeles, California in the United States. The temple is located in the Westwood section of Los Angeles. 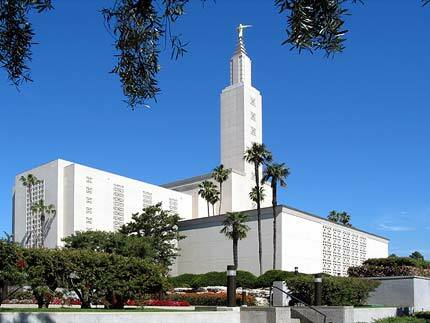 The temple is approximately 10 miles north of the Los Angeles International Airport. The Louisville Kentucky Temple is a temple of the Church of Jesus Christ of Latter-day Saints located in Crestwood, Kentucky in the United States. The temple is located one mile west of Crestwood, Kentucky, about 15 miles northeast of downtown Louisville. The Lubbock Texas Temple is a temple of the Church of Jesus Christ of Latter-day Saints located in Lubbock, Texas in the United States. The Madrid Spain Temple is a temple of the Church of Jesus Christ of Latter-day Saints located in Moratalaz, Spain. The temple is located in Moratalaz, southeast of Madrid, about 10 km south of the Madrid Airport and at the exit of 15 A on the M-40 freeway. The Manila Philippines Temple is a temple of the Church of Jesus Christ of Latter-day Saints located in Manila, Philippines. The temple is located about 10 miles northeast of the Ninoy Aquino International Airport. The Manti Utah Temple is a temple of the Church of Jesus Christ of Latter-day Saints located in Manti, Utah in the United States. The temple is located on a hill in Manti, Utah, about 121 miles southest of Salt Lake City. The temple can be seen from anywhere in the community. The Melbourne Australia Temple is an Australian temple of the Church of Jesus Christ of Latter-day Saints located in the Melbourne suburb of Wantirna South, about 15 miles/24 kilometres east of the city centre. The Memphis Tennessee Temple is a temple of the Church of Jesus Christ of Latter-day Saints located in Bartlett, Tennessee in the United States. The temple is located in Bartlett, Tennessee, a suburb located about 14 miles east of downtown Memphis. The Mérida Mexico Temple is a temple of the Church of Jesus Christ of Latter-day Saints located in Mérida, Mexico. The Mesa Arizona Temple is a temple of the Church of Jesus Christ of Latter-day Saints located in Mesa, Arizona in the United States. The temple is located in the city of Mesa, Arizona, about 17 miles southeast of the Phoenix International Airport. The Mexico City Mexico Temple is a temple of the Church of Jesus Christ of Latter-day Saints located in Mexico City, Mexico. The temple is located in the Aragon area, three miles north of the Mexico City International Airport and 10 miles east of downtown. The Monterrey México Temple is a temple of the Church of Jesus Christ of Latter-day Saints located in Monterrey, Mexico. The Montevideo Uruguay Temple is a temple of the Church of Jesus Christ of Latter-day Saints located in Montevideo, Uruguay. The Monticello Utah Temple is a temple of the Church of Jesus Christ of Latter-day Saints located in Monticello, Utah in the United States. The temple is located in the city of Monticello, San Juan County, in southeastern Utah, 289 miles southeast of Salt Lake City. The Montréal Québec Temple is a temple of the Church of Jesus Christ of Latter-day Saints located in Longueuil, Quebec, a suburb about 10 kilometers south of and across the river from downtown Montreal, Canada. This page was last modified on 11 July 2016, at 19:12. This page has been accessed 113,495 times.